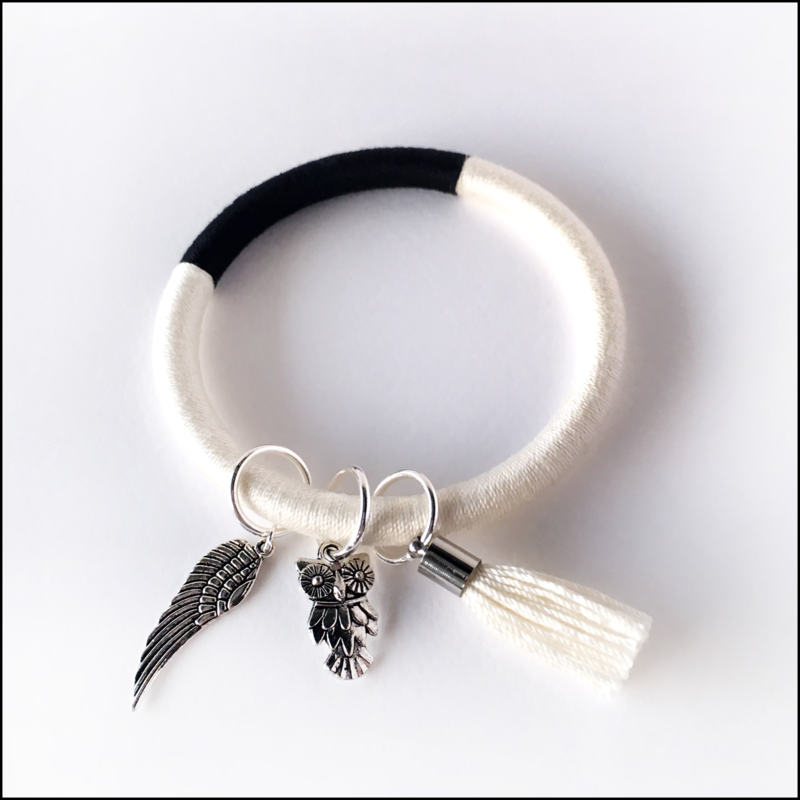 If you like bohemian style jewelry, tassels, charms and pom-poms, than we have something in common. You’ve come to the right address. There’s a lot going on in our workshop lately. The purchase of 3D printer turned out to be even more satisfying than expected. You name it and we print it! 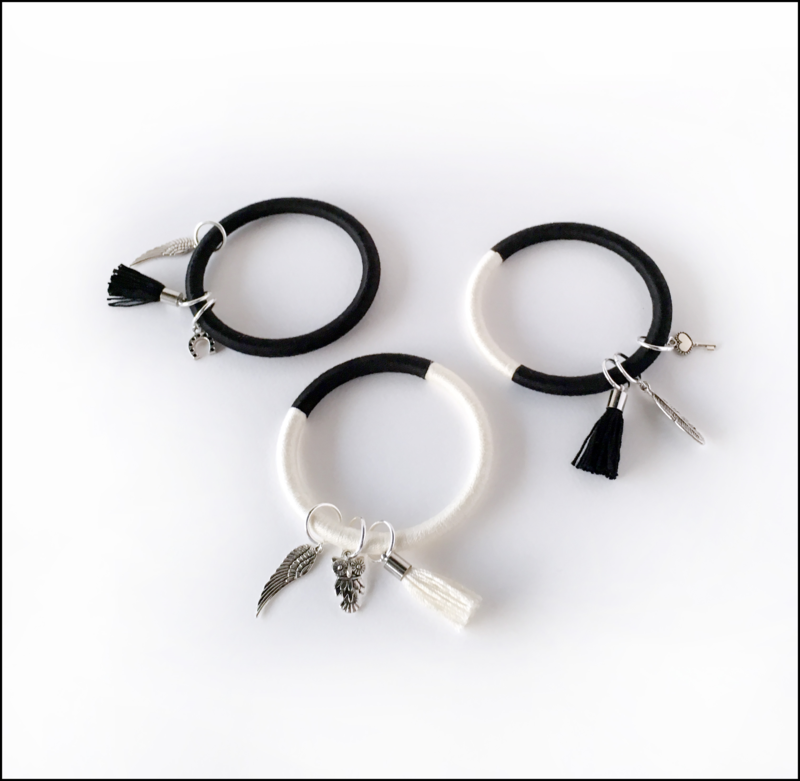 Our new charming bangles are available in different color combinations, from monochrome to multi-colored. 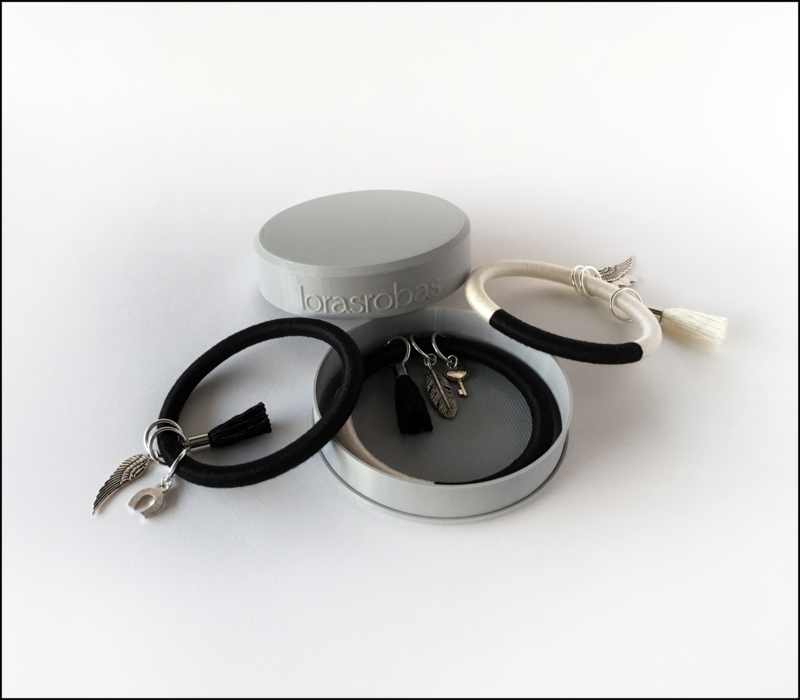 You can choose between different sizes – inner diameter: XS (approx. 6,2cm / 2,44”), S (approx. 6,4cm / 2,52”) and M (approx. 6,6cm / 2,59”). Tagged bangle, bohemian bracelet, bohostyle, charm bracelet, Ibiza style, multi-colored, tassel bracelet.